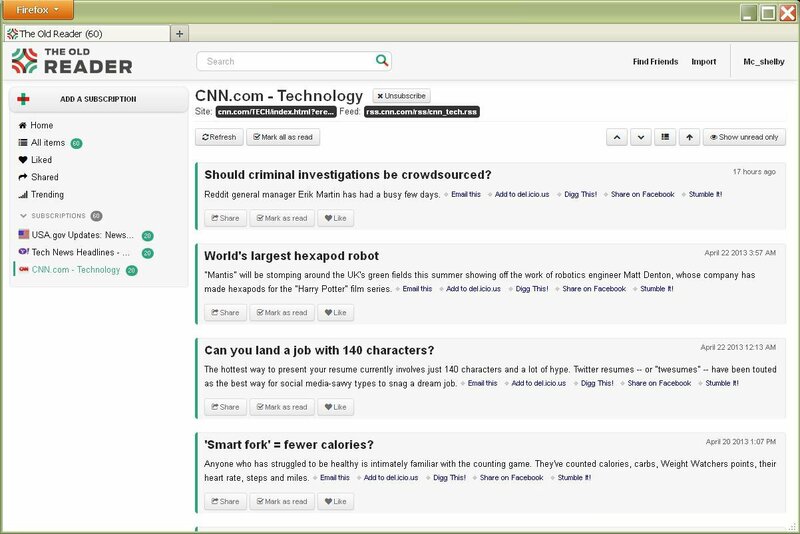 Netvibes: The Dashboard, Reader Combination. 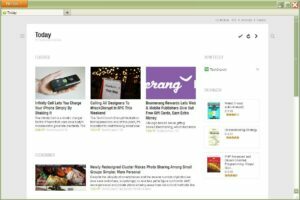 If you’re looking to get more out of your new RSS reader, you may want to try Netvibes. Not only is it a reader; it’s also a dashboard. 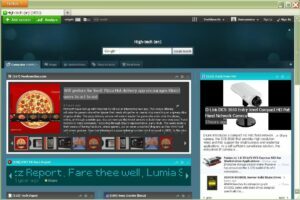 It offers two different views: one that resembles Google Reader’s list view and a dashboard view made up of widgets. You can easily switch back and forth. Available widgets include weather, notes, calculator, Tiwtter, email and more. If you don’t know what RSS feeds to start with, you can create an autofeed by selecting a category like high-tech or social networks. Netvibes also offers mobile apps. Blogtrottr: Updates Sent to Your Email. Looking for simplicity? 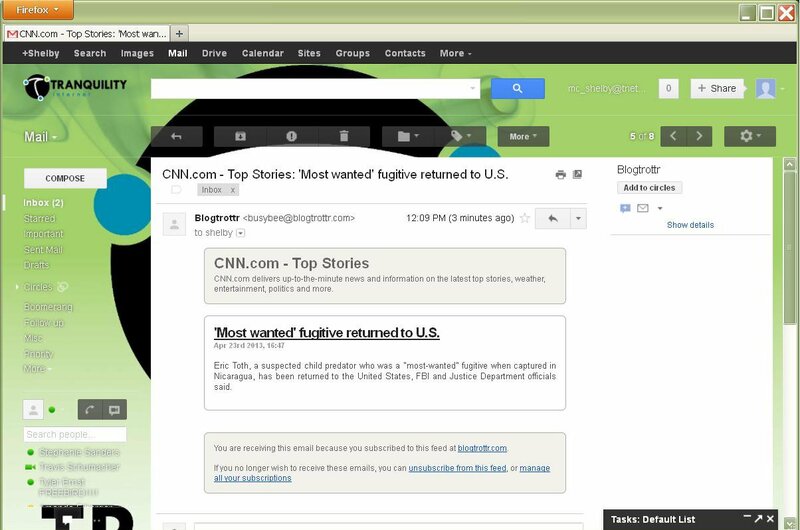 Instead of creating a feed on a site online, Blogtrottr sends RSS updates directly to your inbox. It even allows you to select how often the emails are sent, so your inbox doesn’t get flooded. 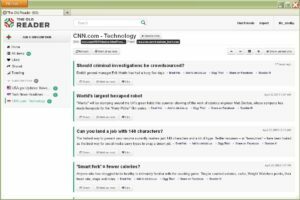 When Google announced that it was ending Google Reader, Feedly announced Project Normandy. With this project, you can automatically sync your Google Reader with Feedly so you don’t lose all of our data when Google Reader disappears. Feedly also provides tips for making it look and feel more like Google Reader. Feedly is a browser app, so it must be downloaded to be added to Firefox or Google Chrome. Once you do download it, it will add a button to your browser menu for easy access, and it will sync with all of your devices when you download the mobile applications. To migrate from Google Reader to Feedly, just log in to Feedly using your Google account. Your account will automatically sync. The Old Reader: Something Familiar. To migrate from Google Reader to The Old Reader, download your data archive from Google Reader using Google Takeout. Then click the Import button on top right of your The Old Reader account and select the Google Reader OPML file you just downloaded. If one of these RSS feed alternatives doesn’t work to your liking. Hold onto your seat. There’s sure to be many new ones developed in the future now that Google has evacuated the area of RSS feed development.